[This story was based on the New Indian Express Report. Now there are reports that this news report is incorrect. The Centre has reportedly sent back to the collegium the recommendations for elevation of Uttarakhand Chief Justice K.M. Joseph and Senior Advocate Indu Malhotra as Supreme Court Judges. As per a report by the New Indian Express, their candidature has been sent back by the Law Ministry, without forwarding them to President Ram Nath Kovind for issuing warrants of appointment. The reasons for rejection are not known yet. But there is no independent confirmation to this report. 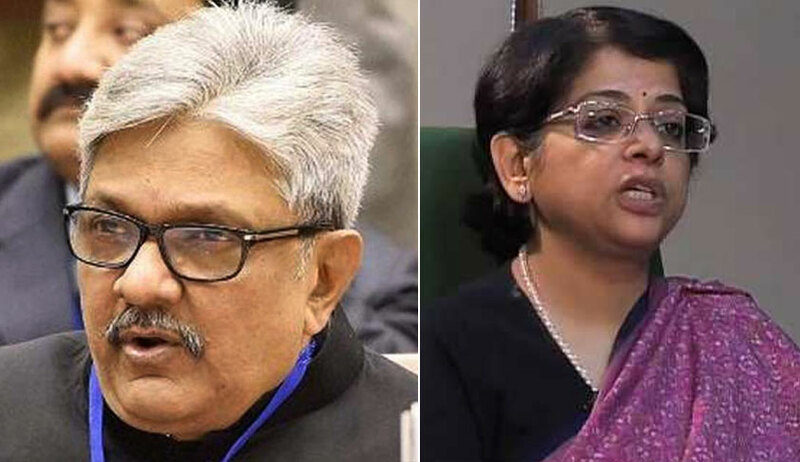 As per the DNA report the Law Ministry said that there is no move to send back Supreme Court Collegium recommendation for the elevation of Indu Malhotra and KM Joseph as top court judges. "There is 'no move' to send back to SC collegium two names recommended for SC on Jan 10. Reports in this regard are incorrect. Names are still being processed." The Collegium had, on 11 January, recommended the two names for appointment as Apex Court Judges. Ms. Malhotra's elevation had been received with great pomp and joy throughout, as she was set to become the first woman Judge to be elevated directly from the Bar. Besides, it would also have been a timely addition to the Supreme Court, which has been functioning with only one woman Judge for the past three years. Justice R. Banumathi has been the only woman Judge in the Supreme Court since October 29, 2014 when Justice Ranjana Prakash Desai retired from service. Justice Joseph's transfer has been in the pipeline for quite some time now. As Chief Justice of Uttarakhand High Court, Justice Joseph had pronounced a judgment quashing the President’s rule imposed in the State of Uttarakhand. The Collegium had then, in May, 2016, recommended his transfer from Uttarakhand High Court to the High Court of Andhra Pradesh & Telangana. However, this hasn't materialized yet. Thereafter, last year in February, Justice Chelameswar had also questioned Justice K.M. Joseph's exclusion from the recommendations for elevation to the Apex Court.